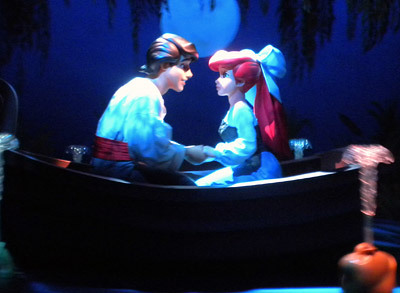 The “Kiss the Girl” scene is nicely done but very inappropriate. Major organizations (such as No Contact Before Marriage and the Defense Against Cooties Foundation) agree that explicit depictions of smooching may border on life scarring for children below voting age. 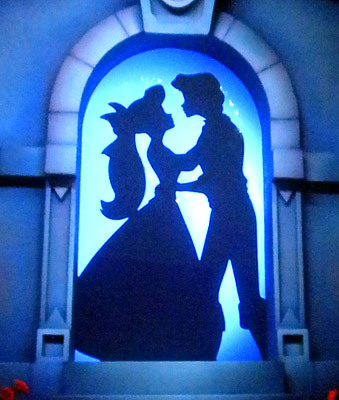 The actual kiss is depicted in silhouette form. A bit of trivia: this gigantic animated silhouette was cut from a single piece of black construction paper by the nice lady who makes silhouettes on Main Street. In the back, there’s a little reference to Syndrome from The Incredibles. What’s up with that? 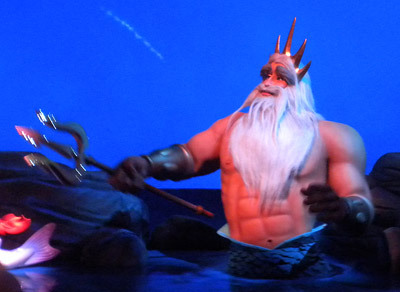 Ariel’s dad, Neptune, is totally ripped. This kind of idealized body image is what gives feelings of inadequacy to so many adolescent mermen. The final wedding scene is cute, but the prince shows his lack of thespian experience by always looking right at the camera. 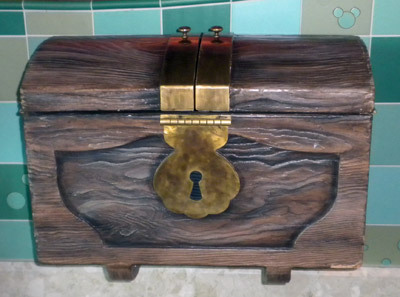 There’s a mysterious cabinet visible near the end of the attraction. 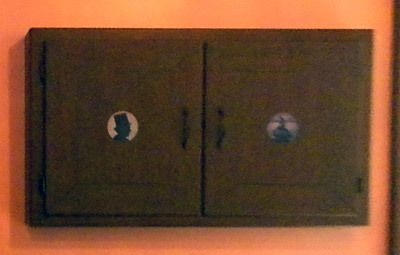 If we are interpreting the markings correctly, this is a storage space for both the original manuscript of The Little Mermaid and Hans Christian Andersen’s head. 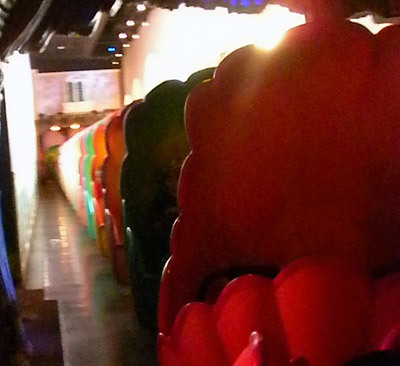 The attraction has only fifteen vehicles, but they are made to look like many more through the clever use of mirrors. 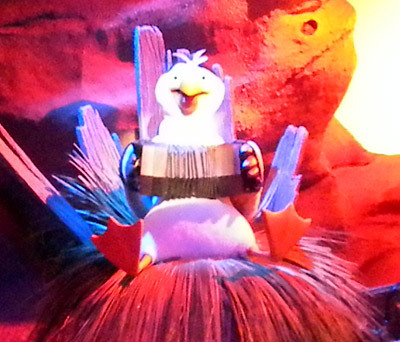 The attraction is narrated by a creepy, beady-eyed musical bird for some reason. Nobody we interviewed for the compilation of facts within this expose was able to tell us why (largely because they were too busy looking at is as if we were insane). 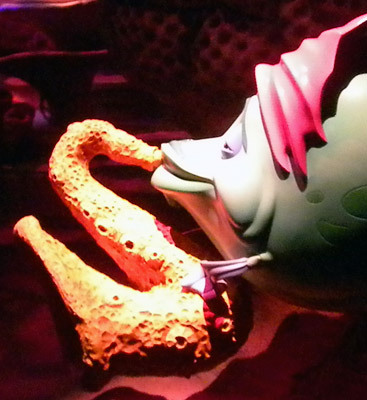 The attraction vehicles turn around and slip below the waves, complements of a special effect that, while brilliantly executed, is crammed with far too many tiny little hidden Mickeys for our taste. 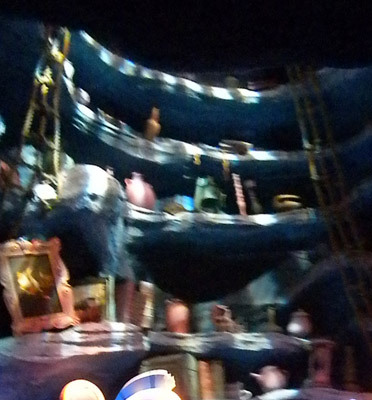 As you descend into the sea, Arial can be seen overhead, accompanied by what appears to be a chambered nautilus and carrying a purse to help remind little princesses of their responsibility to accessorize. Within Ariel’s undersea lair can be seen many of her treasures (forks, ruined books, jugs full of seawater), cleverly scavenged from among the many survivor-less shipwrecks that have drifted down to her domain. 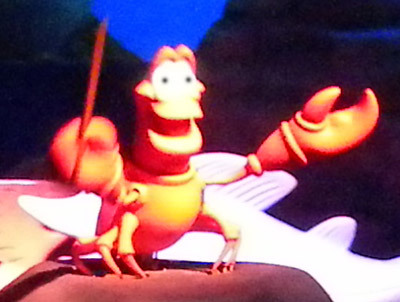 In the “under the sea” room, Sebastian the crab faces a row of electric eels and, with his little baton, conducts electricity. 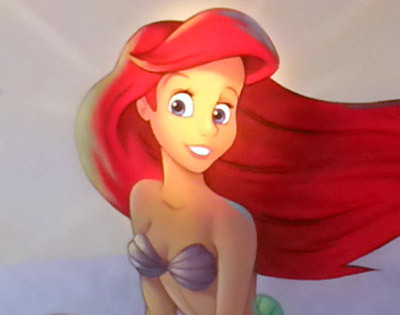 In the grand showroom, Ariel sings, dances, and sports a hairdo modeled after the shell of the fly-specked cerith. Why is this fish kissing the front half of an old, barnacle-covered swan statue? We don’t know. 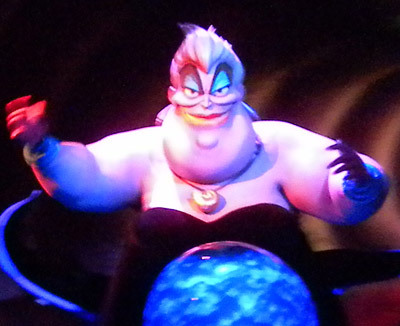 Ursula, the villain in this little tableau, is introduced in a dark, spooky scene in which she is depicted as being larger than the water-covered video globe of the Earth. We don’t understand this either. Tomorrow, the exciting climax to this thrilling adventure! Now that the queue for the Little Mermaid attraction at DCA is finally averaging less than two hours, we thought it would be nice to make a little photo tour of the attraction for those of you who have neither been to the park recently nor seen any of the other photo tours, videos, or detailed reviews copiously available online and in travel guides, AAA publications, and Disney-fan magazines. The entrance to the attraction is very attractive, although here and there we could see a little room for additional quality control. Within the entrance is a mosaic floor in which scenes from the film have been created entirely with natural sea-sourced materials, such as seaweed, shells, and bits of the Titanic. Here’s a little bit of trivia for you, this marker embedded in the ground at the attraction’s entrance marks the exact, precise, geographic center of Disney California Adventure. 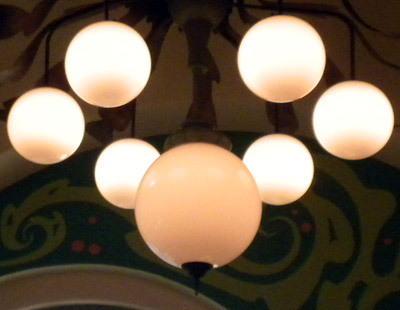 Within the show building, we immediately spotted this lamp, which serves as a hint of the one problem this attraction has — too darned many hidden Mickeys. 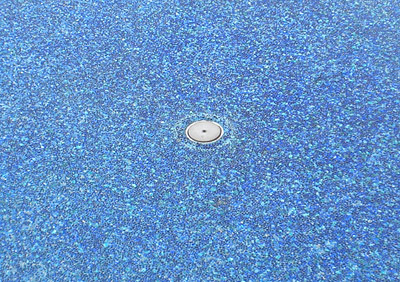 Sure, we love hidden Mickeys as much as the next guy so long as the next guy isn’t Michael Eisner, but in this attraction they are just ubiquitous. 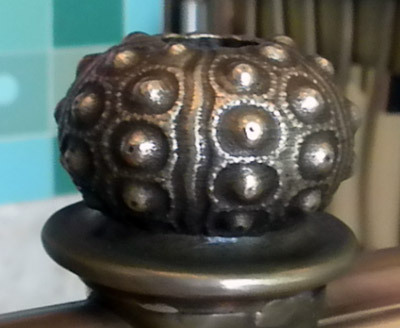 The level of detail in the queue is incredible, although we can’t quite understand why the rails are decorated with these little cacti. As the vehicle boarding area approaches, there is a large mural decorated with this lovely painting of Arial, the Little Mermaid herself. 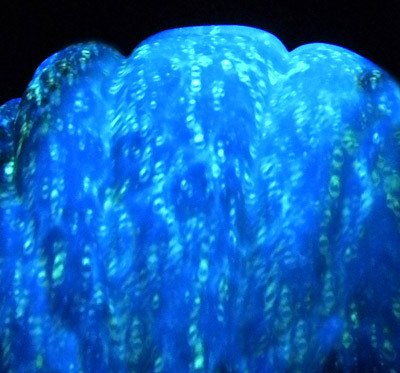 As a subtle environmental message, the LM’s mermaid face glows gently, to help make riders aware of the problems caused by dumping radioactive materials into the planet’s oceans. 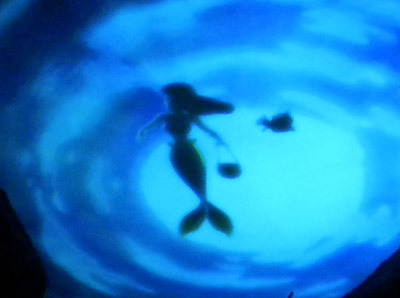 Coming tomorrow — the actual attraction! Even though this is generally a great time of year to go to Disneyland, crowd levels toward the front of the park have been consistently high, largely due to the ongoing Occupy Main Street protests that we have all been reading so much about. Protesters set up a tent city in the Plaza Gardens area every morning (after getting their Star Tours FASTPASSes), moving it only at park closing, and crowd the area area around the flagpole throughout the day, making speeches and displaying protest signs (“When do I get my dream?”, “We are the 10% (of guests who have annual passes),” “People, not princesses,” “An arm, a leg, a churro,” etc.) to passing guests. 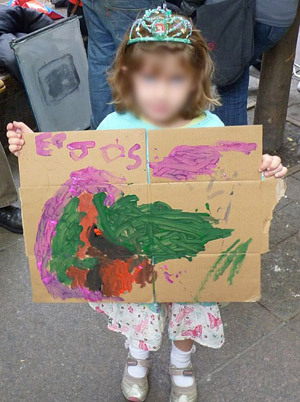 Photo: A princess who prefers to remain anonymous but who stands with the protestors and tries to raise awareness of the Disnification of the continent of Africa (shown here sideways). It is not clear what the protesters want. Some are angered by ever-increasing novelty snack prices. 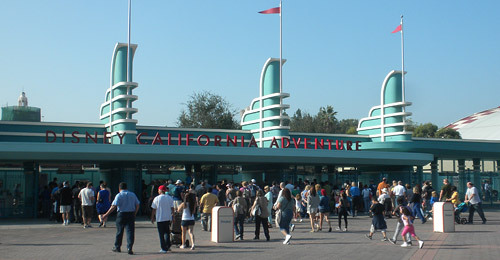 Some feel that Disney California Adventure’s gate price is artificially high, that Disney refused to admit he park’s problems because their theme park division was “too big to fail,” and that those who visited in the park’s early years when it had few big attractions were unfairly subsidizing its growth. A few still seem to be under the impression that they need to speak out against a scheduled removal of Mr. Lincoln, want the sexism returned to Pirates, or are angry that you can no longer go to the front of attraction lines by renting a wheelchair. There have been a few minor incidents related to the protests. There were multiple complaints of protestors crowding or vandalizing restaurant restrooms, but this was solved by pointing out to them that there are restrooms all-the-heck over the place in the park. Bad blood was also stirred up when a splinter Occupy New Orleans Square group noticed that a group of Club 33 patrons were standing on a balcony, drinking champagne, and laughing down at the poor, lower-status guests who had to visit the park sober. If you have been to the park recently and photographed the protests, please send them to us along of your report of the action. We will post updates as they become necessary. 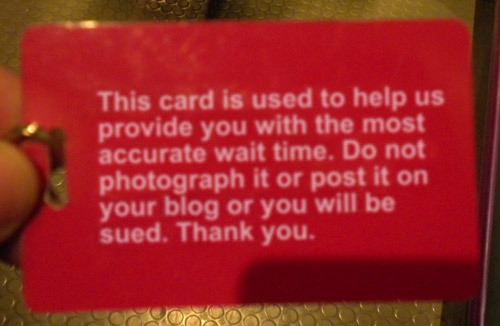 At DisneyLies.com, we hate being serious, but this is one of those times where we have no choice. Steve Jobs was an amazing man and an inspiration in a great many areas of our lives. He did so much in so little time. We will miss him immeasurably. 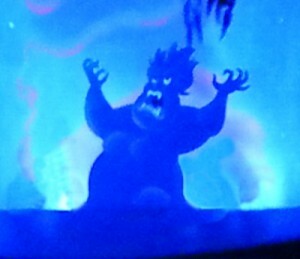 We’re going to go queue up a Pixar film on our iPad and have a little smile with our cry. Just wanted to share this incredible view from DCA. On our recent visit, the sky was so clear that for the first time ever we could actually see the mountains in the distance! We finally got to see the new entrance to Disney California Adventure, and think it is an incredible tribute to the entrance to Disney Hollywood Studios in Florida. 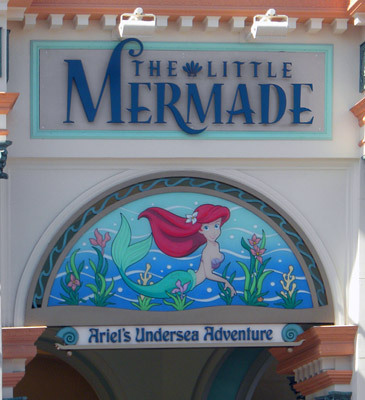 Seeing the new entrance also helped us understand why the park’s name was changed from Disney’s California Adventure to Disney California Adventure — there is no possible way that the “‘s” could have fit on the marque. Seriously, it would have been crammed up against the “C” and just looked terrible. Good decision, Disney! On our recent visit to Disneyland, we stopped by Carnation Plaza Gardens, which Disney recently announced would be plowed under and replaced by a new area dedicated to princesses. 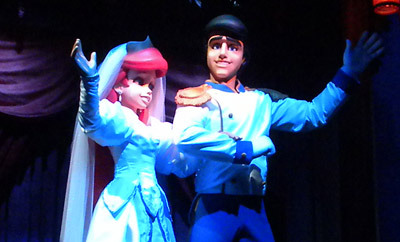 After a great amount of soul searching, we have decided that this is a horrible, horrible idea that amounts to bringing Walt Disney back from the grave just to plunge a fist into his chest and rip out his beating heart, put a tiara on it, and make it stand in line for an hour to get the Little Mermaid’s autograph. Click on the picture to see it even bigger. We’ll wait while you do that. Do you notice what we noticed? That’s right — Carnation Plaza Gardens is exactly, precisely perfect just the way it is. Look at the picture: There is literally nothing in the picture that is the reason this beloved, pristine, uncluttered area should be destroyed. Agree? Ignorantly disagree? Let us know in the comments. We’re not really sure what it means, but it made us feel really important. Until someone took it from us. Which made us sad. 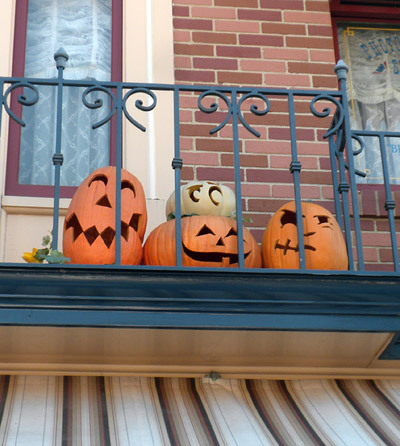 Pumpkins like these line Disneyland’s Main Street as part of the Halloweentime celebration. They’re nice and all, but did you know that they are more than just jolly seasonal decorations? Each and every Main Street pumpkin is a caricature of a prominent person from Disneyland’s past, placed as a tribute to their contribution. 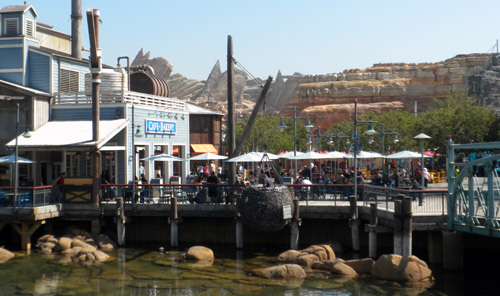 It is considered a great honor to receive a “pumpkin on Main Street,” and every September Disneyland has a little ceremony in which new “pumpkinheads” are inducted. Guests aren’t expected to recognize all the faces (although X. Atencio, Mary Blair, Wally Boag, and Carl “Cubby” O’Brien are pretty obvious in the above photo), but a handy guide is available at no charge at City Hall.